Today I finish the review of the top 5 viewed posts from the past year with this one about loons. Some of you may remember back in the Spring there was a dust up with a group of people claiming the ‘rapture’ would occur the coming weekend. This is the blog I wrote then. Turns out, I was right. This blog has relevance now too, though. Let me reassure everyone the world will not end on Dec. 21 2012. There is no way the ancient Mayans figured out something that Jesus didn’t even know, okay people. If you are a follower of Christ, relax and stop messing around with these crazies. In light of recent headlines, I think it is time for Pastor Greenbean to bring some calm reassurance to the people of the world. There will be no so-called “rapture” this Saturday. In case you’d like to bet me on that, you should know I’m going all in: house, cars, bank accounts, library and stunning wardrobe. 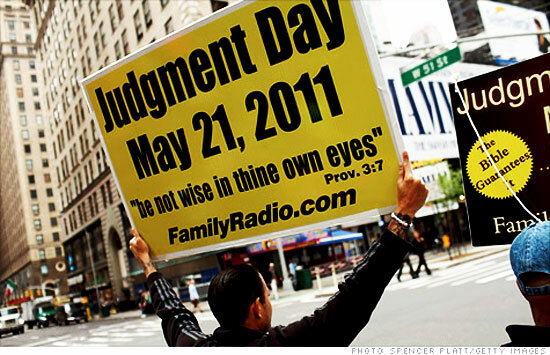 Apparently some loon radio station guy is predicting that the rapture will happen on Saturday. Let’s put aside what I consider the questionable theology of “rapture” and just examine the logic of the claim from a foundational biblical perspective. Jesus himself admits in the gospels that he doesn’t know much about the times and dates of the end. If Jesus doesn’t know, I’m pretty sure the radio doesn’t either. Taking logic to the next level it would seem these loons are more influenced by current pagan/heathen/media driven 2012 doomsday predictions rather than anything biblical. Not to mention (oops, I guess I am mentioning it) history is replete with groups that have been wrong, including Camping himself. 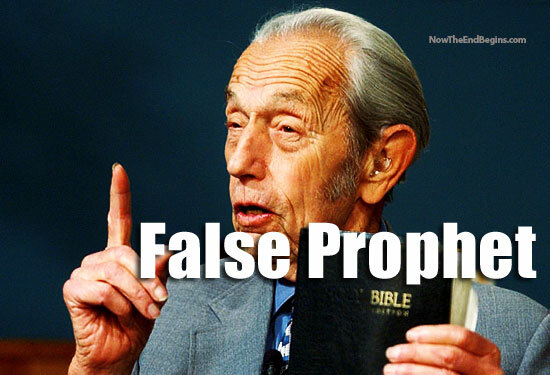 A little research indicates that this man is false teacher. The way I understand it this group of loons are saying the corollary event, the end of the world, is occurring this October. Now, unless there are using “end of the world” as a metaphor for a prediction that the Chicago Cubs will win the World Series in October then their timeline is terribly incorrect. If you believe in a “rapture” (let the reader understand) then the end of the world will take at least 3.5 years to happen, not 5 months. So these loons at the radio station are terrible theologians and bad mathematicians to boot. They should never be trusted by anyone ever again. As an aside, I wish the media would stop calling this guy a Bible expert. He is not. He is a loon. I can only imagine how the early church fathers would have dealt with him. Can you see it now—Augustine’s “Contra Camping” or Athanasius “Camping est Hominen Stupidem.” I am so sure the first thing they would have done would be to anathematize him! Rest assured, the world will not end in October of this year or 2012. Predicting it almost guarantees it will not happen. Read your Bible people! In addition to these sound reasons, I have at least six other personal reasons why I am rather convinced the “rapture” will not occur this Saturday. 1. By Saturday I’ve ironed out all the kinks in Sunday’s upcoming sermon. It would be just cruel to have worked so hard to get it ready and then not get to preach it. Plus, this weeks sermon is awesome! 2. I’ve got a great vacation planned this summer. It would be nice if God would wait until maybe the bills come in from my great vacation. 3. My new study the church built for me last year is barely broken in. It would be just cruel to vacate it now. 4. This loon said the same thing in 1994. 5. The New Harry Potter movie hasn’t come out yet and my girls would be very upset if they didn’t get to see how it plays on the big screen. 6. This idea came out of California. California! This crash course is needed for this 2012 election year. The “rapture” is known theologically as the “pretribulation [or “pretrib”] rapture.” It’s a secret coming of Christ, said to happen years before the Second Coming, that reportedly can occur at “any moment” and can evacuate all true Christians from earth to heaven before the “great tribulation” found in Matt. 24, Rev. 7 etc. – end time escapism unknown in all official theology and organized religion before 1830! Journalist/historian Dave MacPherson, focusing more than 40 years on locating long forgotten “rapture” documents in England etc., has found evidence destroying many such assumptions and, even more monumental, has run into pervasive dishonesty in that fanatical 182-year-old, mass-marketed-in-America theory – the fans of which are not above distorting and even deleting “rapture” facts on Wikipedia! Here’s hoping that all of you will get A+ in this course!